Please don't wear it when you take shower or swimming! 100% Brand new watch, come with gift box printed Lancardo, Engraving service please contact me. 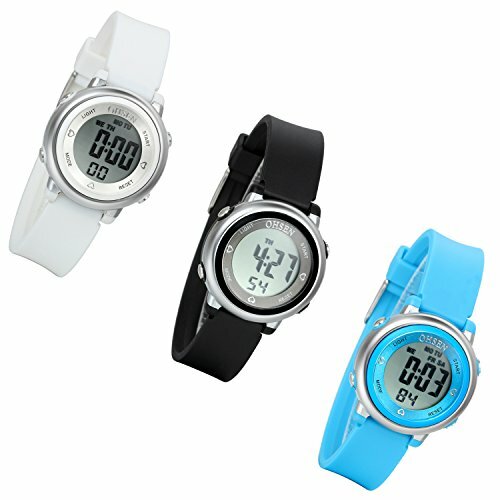 3 piece of white/blue/black color watch, gloss bezel,matte metal case, soft rubber strap. Water Resistant up to 5 atm or 50 m(164FT), Suitable for swimming, white water rafting, non-snorkeling water related work, and fishing. Not suitable for diving, do NOT press any key underwater.